Product Details:Woodcraft Clock Fancy Round Shape wooden case Glossy Finish with silent sweep Movement. One year Warranty. We are working with the team of skilled professionals, offering a quality assured assortment of Office And Sweep Clocks. 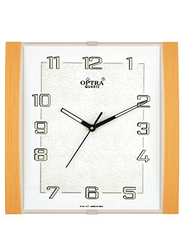 The Office And Sweep Clocks we offer are widely demanded for their durability and safe use. Offered products are tested for their quality before being introduced in the market. 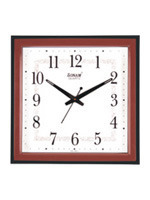 We offer a wide range of Wooden Sweep clocks for home and office uses. It Cleans The Floor Surface And Catches The Dust Into Automatic Pan Inside The Sweeper Machine.It'S A Unique And Advance Technology Model. Very Useful For Quick Cleaning And Also For Those Who Are Having Job And Also Need To Take Care Of Home.It Is Fastest And Easiest Way To You.It Requires No Power And Energy Saving Environmental Protection.This Sweeping Machine Uses Mechanical Principles.